Creating a private university in Winchester? Should top independent schools set up a new private university on the lines of American liberal arts colleges, providing high-quality teaching, a broad curriculum and charging full fees? The proposal, floated by Terence Kealey, Vice-Chancellor of the private University of Buckingham, may delight a possible incoming Tory government. It may attract parents who are used to paying high school fees as well as those who are afraid that their offspring are being squeezed out of university by poorer applicants. So, let’s suppose two or three of the most famous fee-charging schools – perhaps those with the biggest endowments and the highest prestige – became universities. They could do so by merging with existing universities to provide new opportunities not for the rich but for poorer students. Take Winchester. The university in Winchester is pioneering a broader undergraduate curriculum. 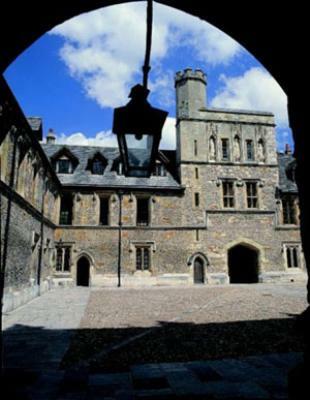 Winchester College is an ancient and distinguished school. Its beautiful buildings would make a fine university campus. The school has a high academic reputation and expertise in post-16 teaching. This would, undoubtedly, be a new kind of institution. And it’s an interesting proposition. But would it really work? And is any university, in Winchester or elsewhere, going to be willing to make the kind of changes required to deliver such an outcome? This entry was posted in Education, fees, HE, Students, University and tagged Access, admissions, Auriol Stevens, fees, HE, Independent, private university, quality, Students, universities, Widening participation, Winchester College, Winchester University by Paul. Bookmark the permalink.